Happy New Year to you all! 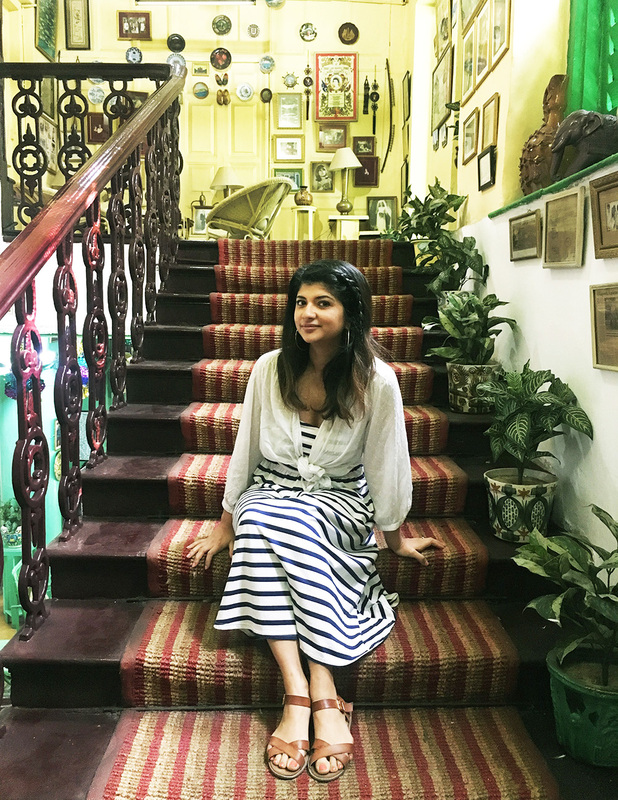 For those of you who follow this blog on Facebook and me on Instagram, you will know that I have spent most of December travelling around India visiting family and soaking up the culture. 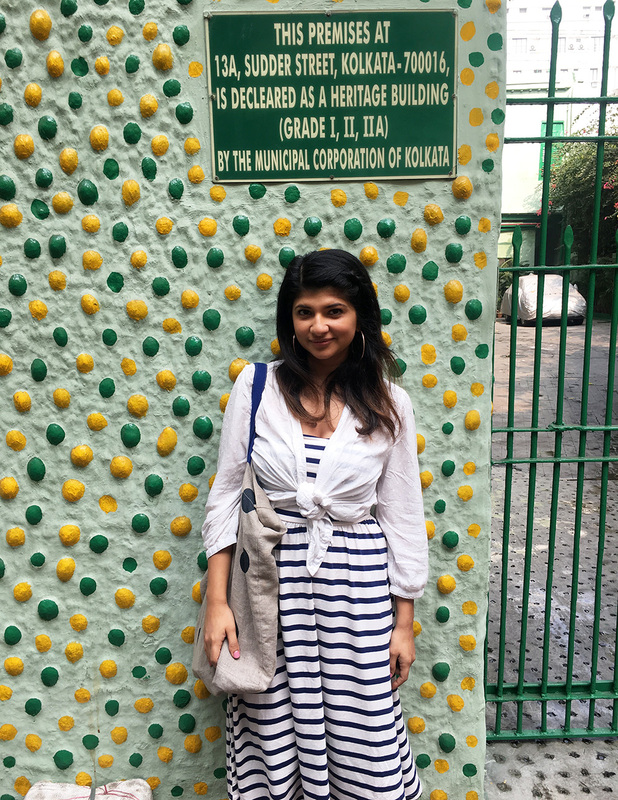 We visit my grandmother who lives in Calcutta every two years (she visits us in-between) and then we spend some days in Bombay – a vibrant, metropolitan city by the sea (we also got married in Bombay four years ago). 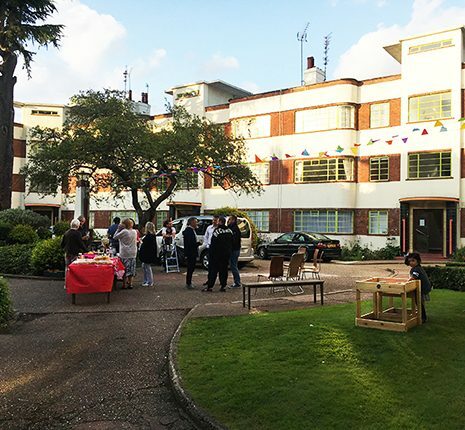 I first heard of the Fairlawn Hotel in a BBC Documentary a few years ago called Indian Shakespeare Quest featuring Felicity Kendall. 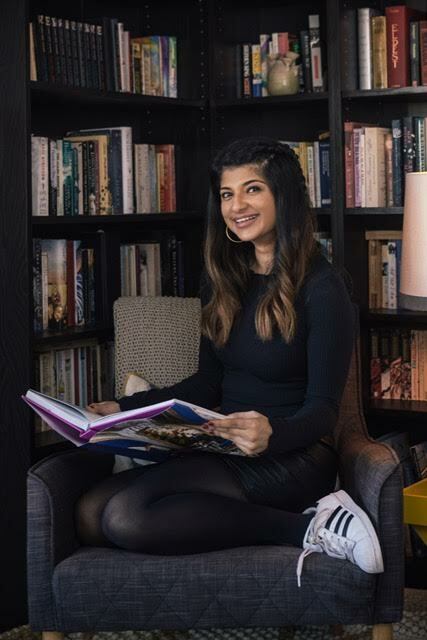 Kendall spent the first part of her childhood in India when her parents were part of a travelling theatre. 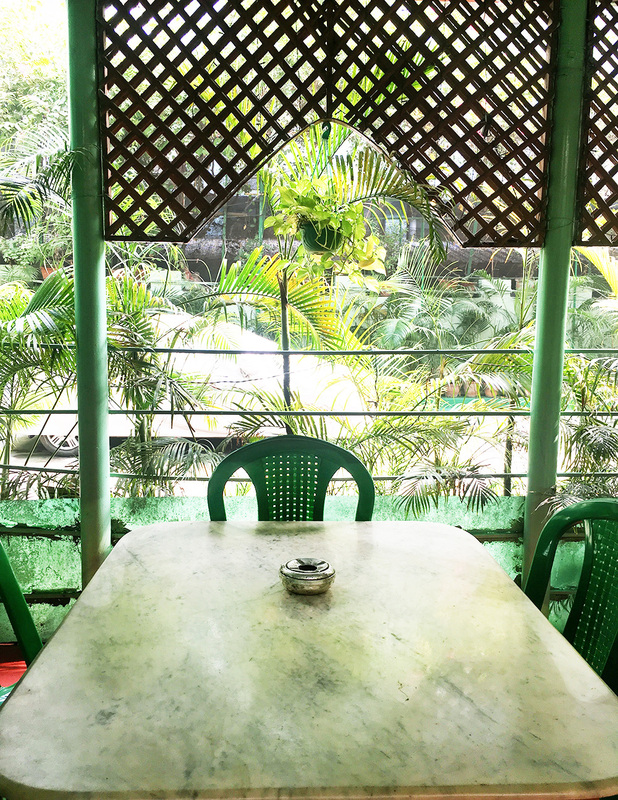 The Fairlawn hotel appeared as a backdrop to her fond memories and as something of an institution for expats. 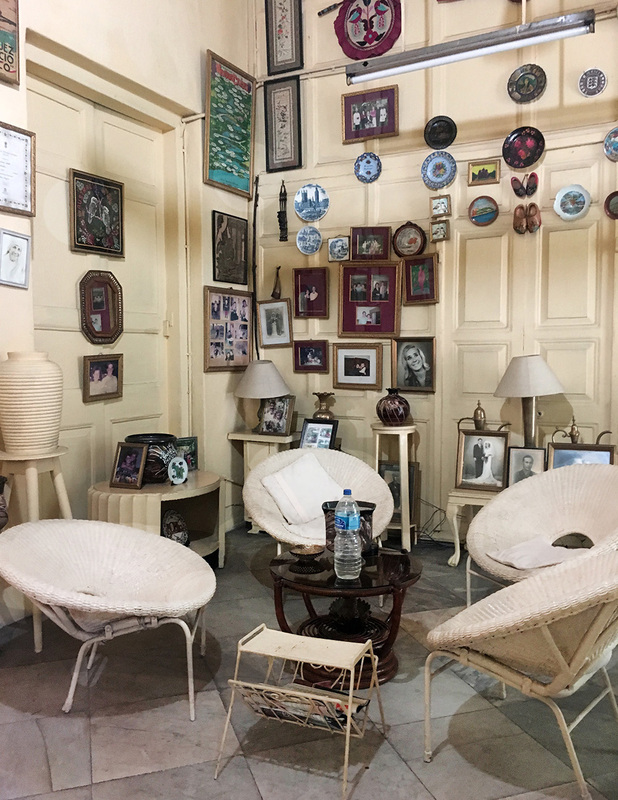 Housed in an 18th century boarding house, the hotel was opened in 1936 by the Sarkies, an Armenian couple that acquired several properties in Calcutta- home to a very old Armenian population. The hotel was passed on to Sarkies daughter Violet Smith, who gave the hotel it’s chintzy, anglophile decor in the 1970s, though most of the furnishings predate her reign. 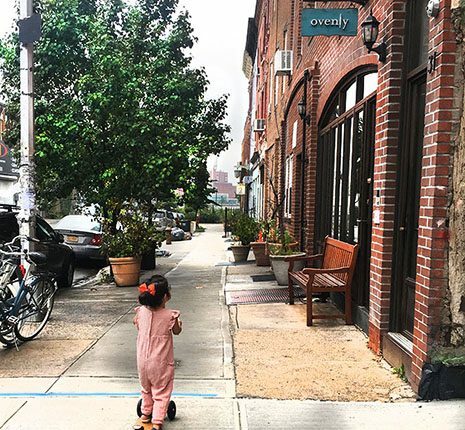 Violet clung to British colonial tradition – at Fairlawn you dressed for dinner and took gin and tonics on the veranda as the sun set. 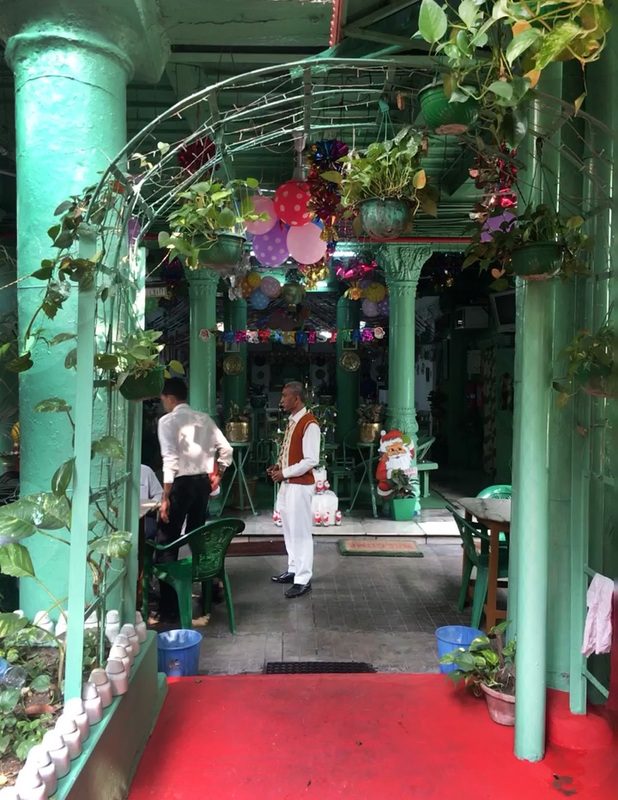 Violet held court at the hotel every night regaling guests with tales of Calcutta and the Fairlawn’s famous visitors ranging from Tom Stoppard to Michael Palin, Julie Christie, Sting and Shashi Kapoor who spent his honeymoon night at the Fairlawn with his new bride Jennifer Kendall. Violet passed away in 2014 in her first floor quarters at the age of 93 but the space is still being run very much in her spirit. You can read more about the formidable lady here. 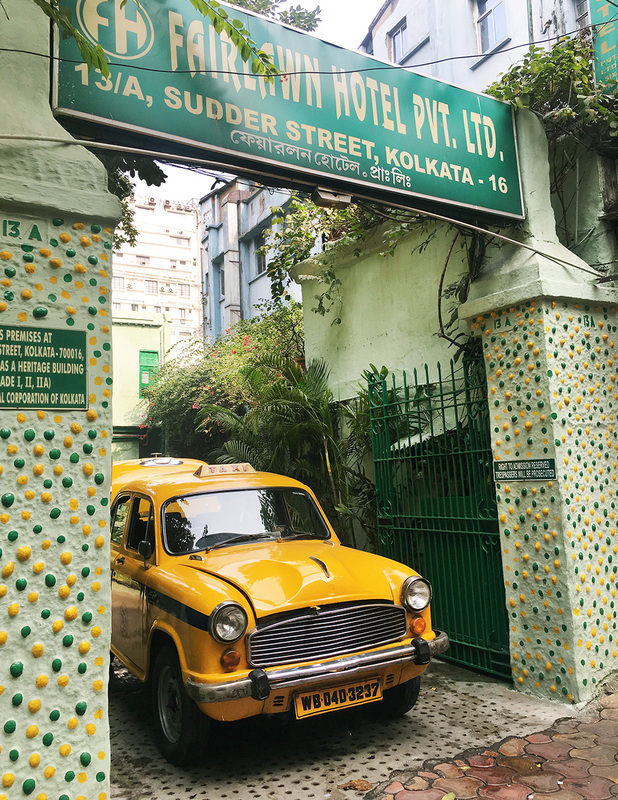 We arrived at the hotel after an hour of winding down busy Calcutta byways – my grandmother had fore-warned ‘that area is full of hippies!’ which of course made me want to visit all the more. 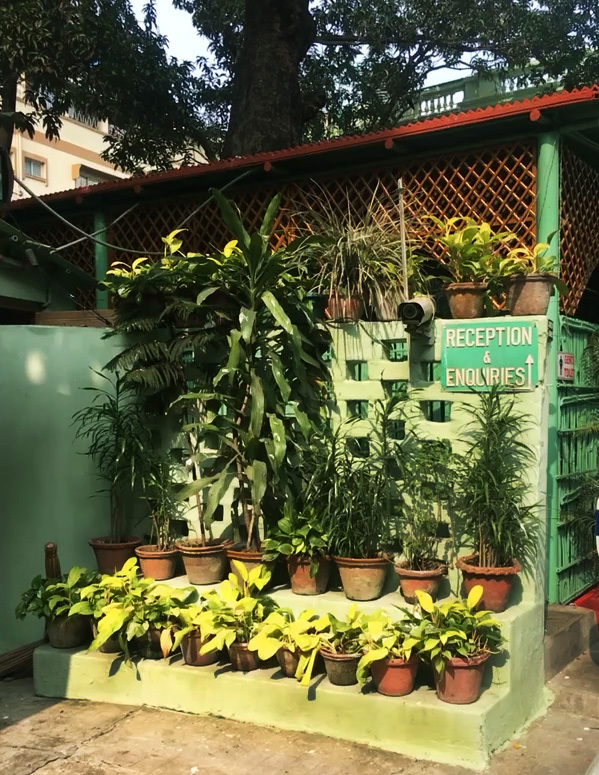 We could not have missed the hotel of course – the gates were surrounded by a marvellous archway with pebbled walls hand painted in bright green and yellow dots. 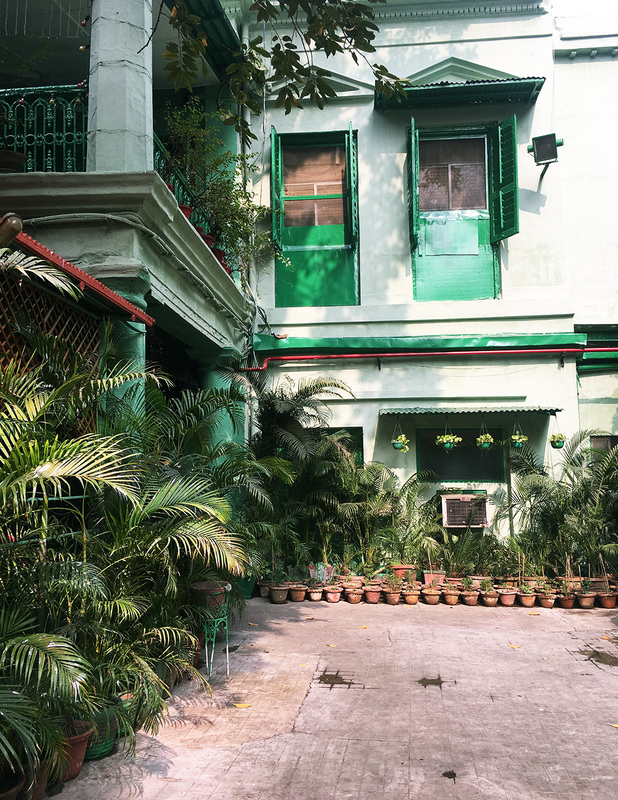 As we walked into the driveway a homely colonial building greeted us also painted green and lined with lush pot-plants that so thrive in Calcutta’s climate. 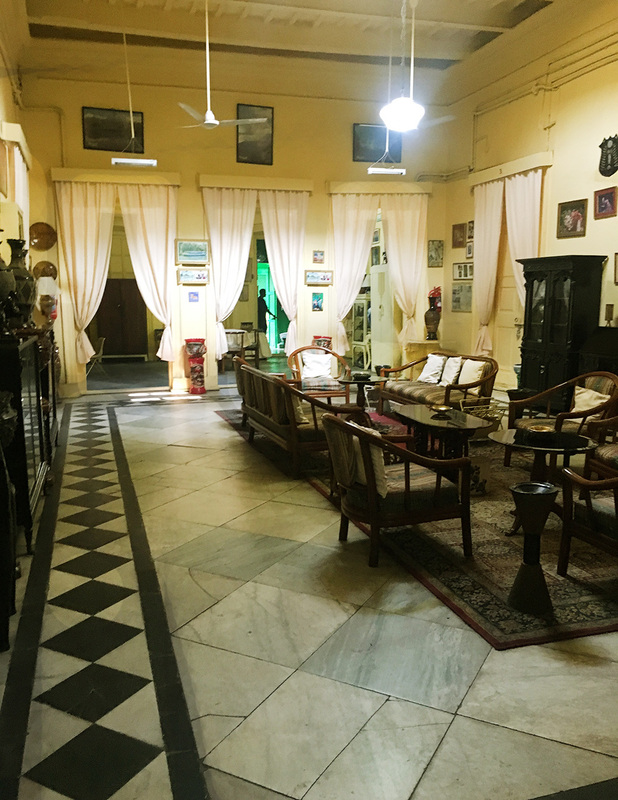 To my delight a sort of Gerald Durrell tone was struck upon entering the driveway as a large and cheery British family of grandparents, daughters, sons, wives and grandchildren were at the time piling happily into an old Ambassador with their luggage. The reception area was wonderfully surreal – everything (and I mean everything) painted in a glorious mint green and full of vintage details. 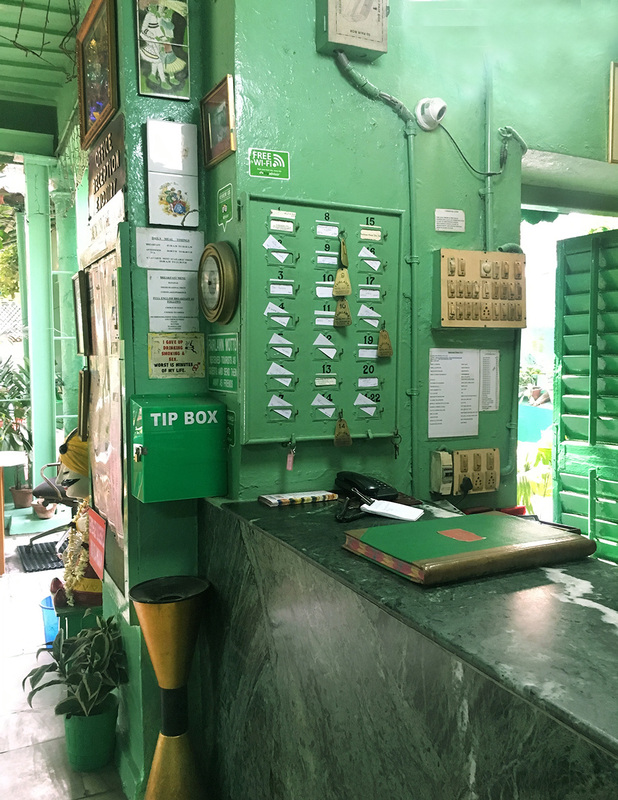 A numbered box with room keys hung on the wall with an oversized almost comical hotel ledger on the desk, plaques, signs with great fonts, fuse boxes and electrics (all painted over in green) added to the space’s idiosyncrasies. 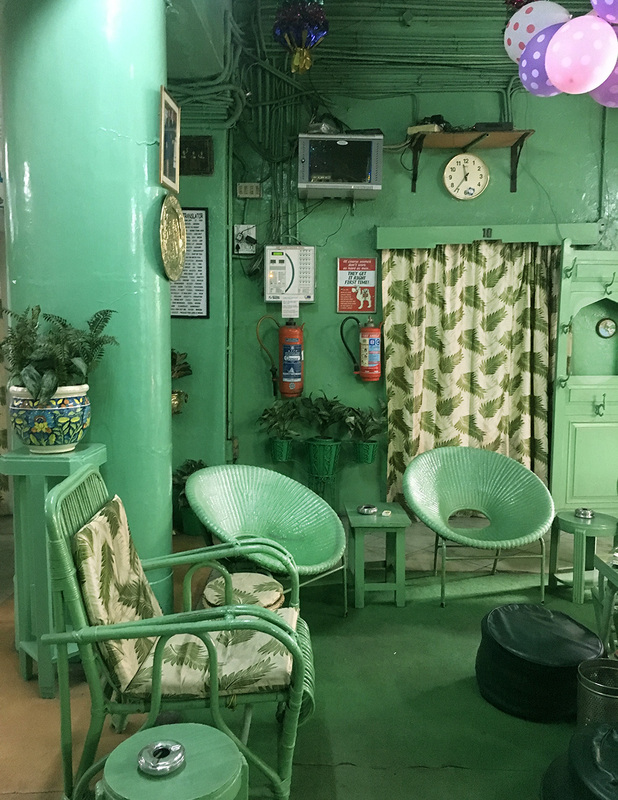 The waiting area was also green with cane chairs thickly painted in the hue, accessorised with palm print upholstery and curtains. 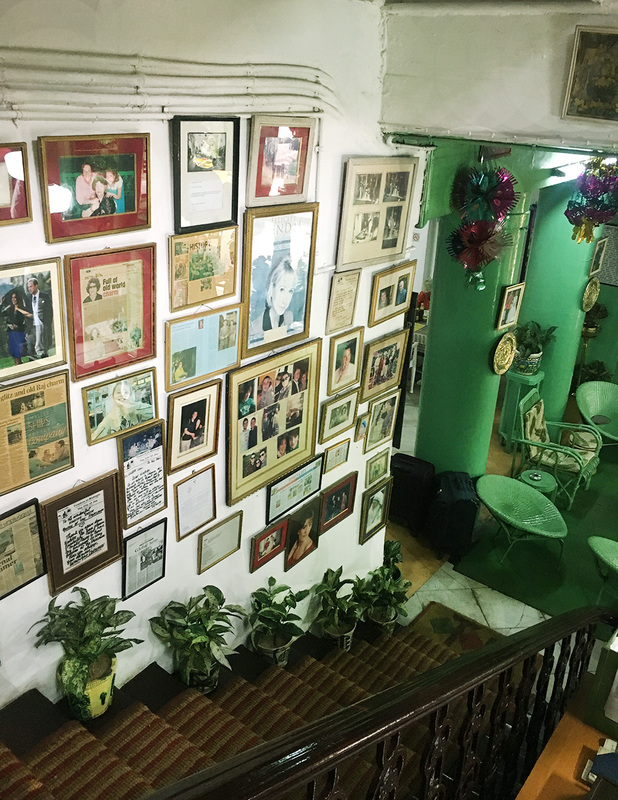 The breakfast room beyond was also mint green… Stairs leading upstairs were studded with potted plants on each step and walls covered with pictures of the hotels famous guests. 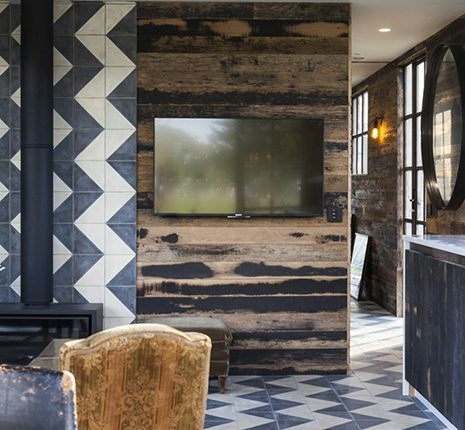 The upstairs was dotted with more seating areas and antiques. 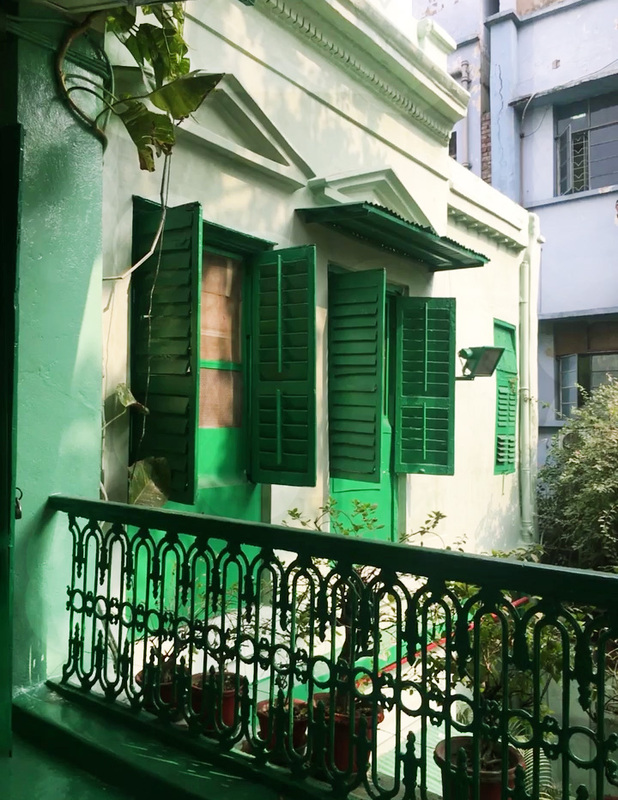 A large common room was arranged with dark chairs and coffee tables which all the bedrooms opened out from – I imagined tinkling music playing here and guests of past and present getting together here on warm Calcutta nights over drinks. 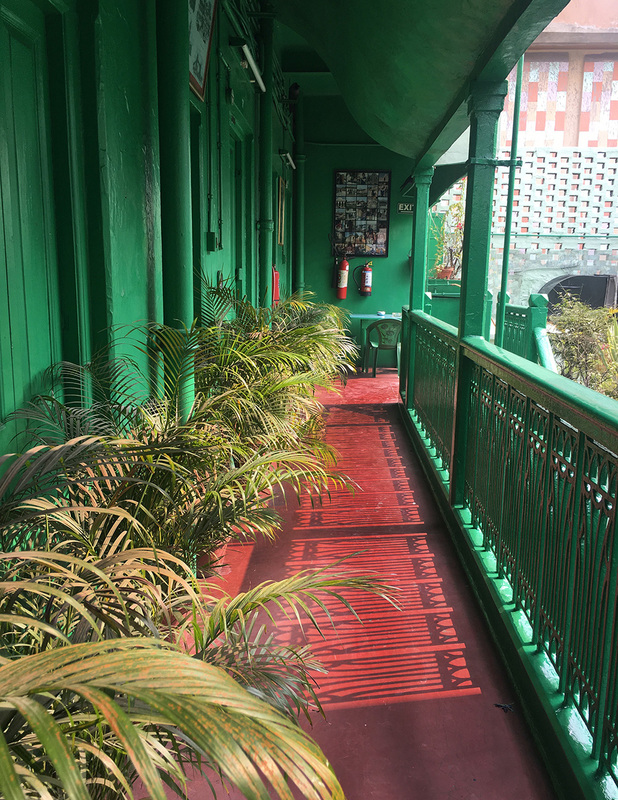 The colonial verandah’s that lined the building looked out onto busy Sudder Street (that street full of hippies) but felt somehow shielded from the bustle of the city. 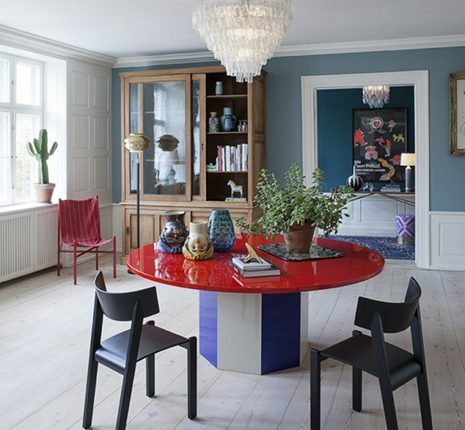 I have never imagined about using this color, but still its looks very good. I wish to use this color to upcoming project. What an incredible hotel! Looks accidentally cool, but like someone’s humble home at the same time. Adding it to the travel wishlist. Totally accidentally cool! Add it to the list and stop for a pot of tea!